This workbox was designed for the Massachusetts Institute Technology audio department. 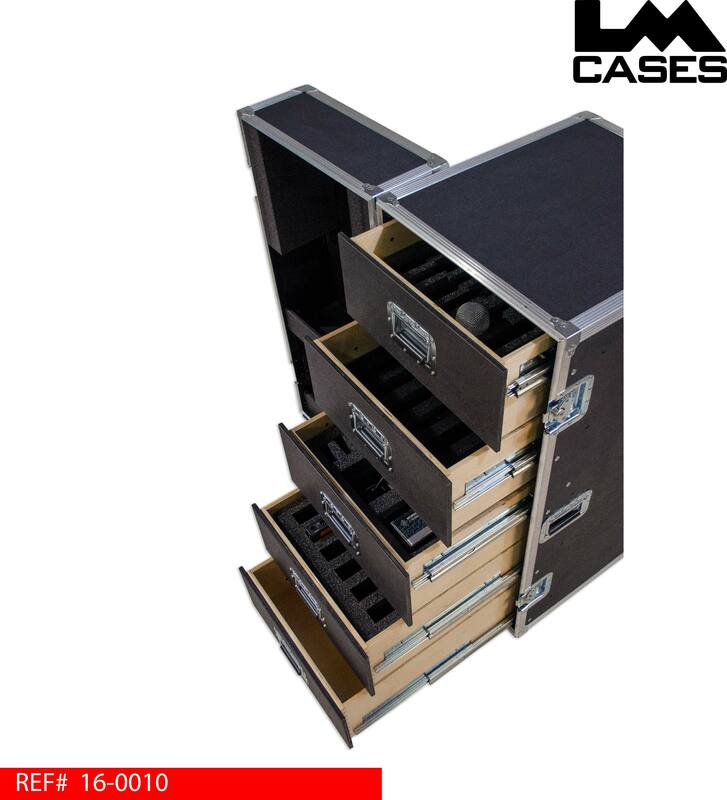 The case is design to hold a variety of mics, DI boxes and cables for audio presentations and concerts held at MIT. 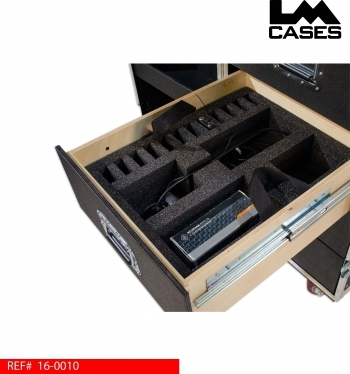 The workbox features removable foam inserts in each drawer that hold each item in a custom cut compartment. Each foam insert is cut on our CNC saw to create a custom shape in the foam to contour the shape of each item held in the insert. 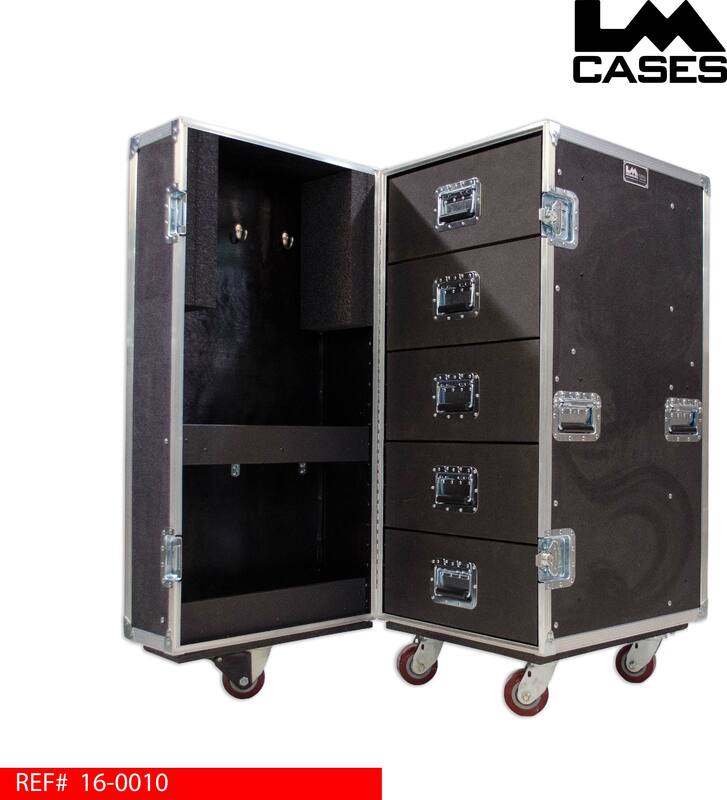 This allows for not a custom fit, but a visual confirmation showing the user if an item is missing when its time to pack up at the end of a show. Each insert features 2 handles that allow it to be removed from the drawer, this allows multiple users to take different insert trays to different parts of the stage during set up and tear down. This also allows the workbox to be multifunctional by allowing the drawers to turn from a custom mic drawer to an open space for cables quickly. The drawers are made from 1/2" Baltic Birch that are dove tailed together and finished with clear lacquer. 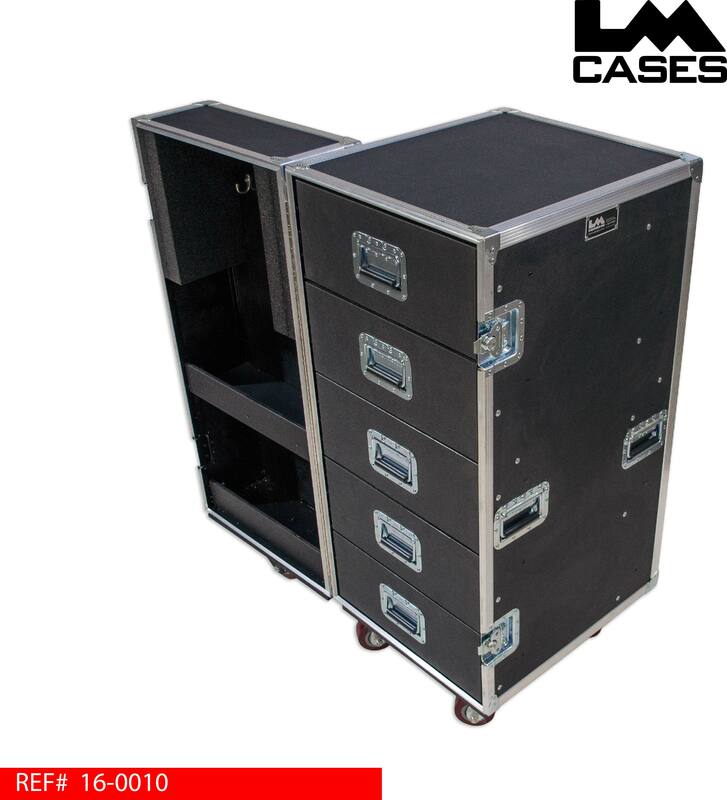 Each drawer is mounted on HD Accuride glides and features a black face piece and a recessed pull handle. The lid features shelves for sundry items like gaff tape, contact cleaner and misc items. 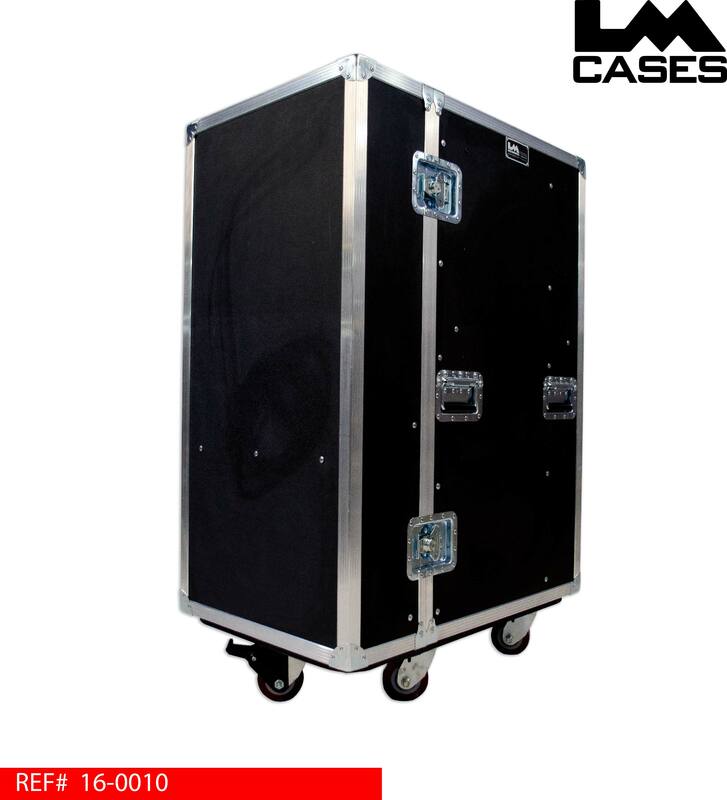 The exterior case is built from 1/2" plywood laminated with black ABS plastic. The exterior also features deep recessed handles and 4" x 2" HD Colson casters.